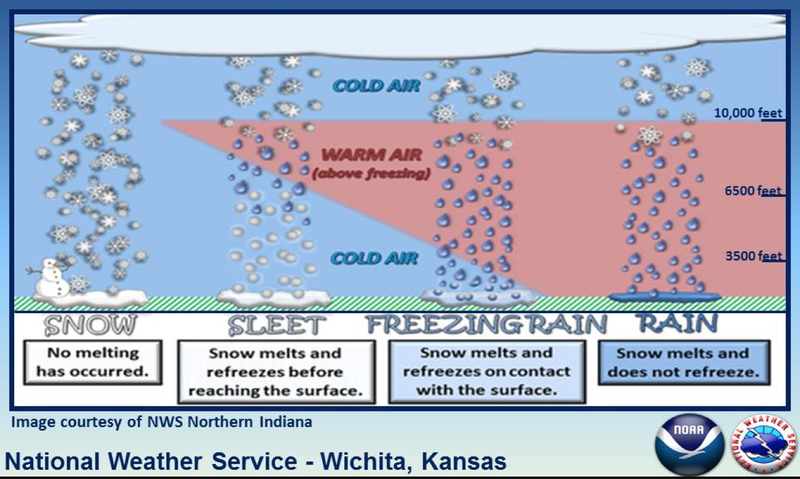 In order to get an ice storm, you have to have a "warm air sandwich." If the air is below freezing from top to bottom, you get snow. You get ice only if you have exactly the right amount of warm air above the ground as illustrated above. I would appreciate a brief discussion of the factors that mitigated the intensity of the most recent ice storm. Early forecasts were quite dire, yet I have seen only a couple of modest damage reports. Thanks!